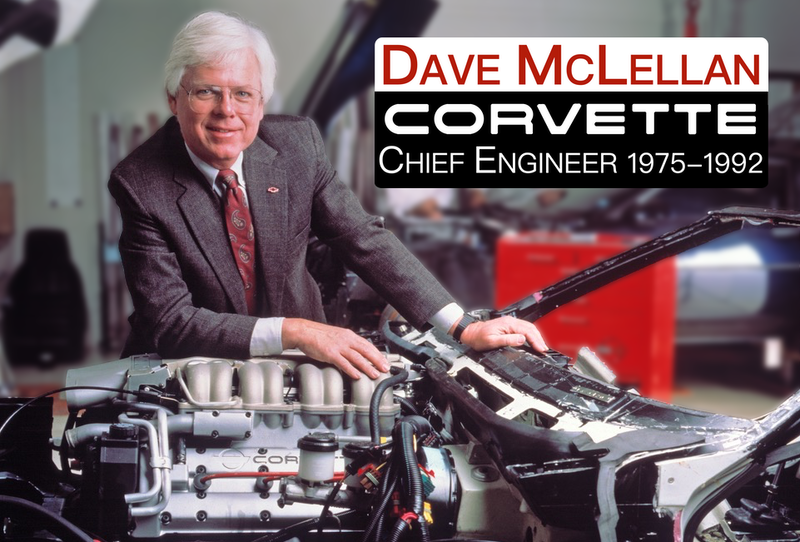 I am trained in mechanical engineering, vehicle dynamics and management and was for 17 years the Chief Engineer of the Corvette, where I led the Corvette back to center stage as America’s pre-eminent sports car. The Corvette as a stand-alone business would be a Fortune 500 company. Since GM, I have led or contributed to a number of programs documented below. I am looking for interesting vehicle related programs where I can make a significant contribution as a consultant or in program management. 2007 Expert witness for Murray and Murray in a legal matter involving VW. Consultant to Lockheed Martin Systems Integration-Owego on specialty 12 Ton GVW trucks for the US military. Consultant to Intermap Technologies Inc. Producer of large area, side scan radar based, precision 3D surface and road maps. Consultant to IAM Insight, specialists in technology transfer and intellectual asset management; on hydraulic hybrid technology. Technical expert to Jones, Day, Reavis and Pogue, Cleveland OH on a patent infringement case, Reitter & Schefenacker GmbH & Co KG versus Donnelly. Consultant to, and member of the Technology Board of Mosler Automotive and its MT900, ultralight composite race/road car. Consultant to Georgia Tech Research Institute for Ultra 3T, a I Megawatt, armored hybrid vehicle for the US Marines. Engineering Consultant to Technologies M4, developers of an automotive electric wheel propulsion motor. Engineering Consultant to Intermag Technologies Inc., developers of magnesium automotive components. Engineering Consultant to IVM an international automotive design and development company. ERIM-Engineering Director for COMBATT a cost share program sponsored by TACOM, to develop commercially based trucks that approach the mobility and payload capacity of the Army’s HMMWV. Engineering Consultant to the Eaton Corporation. Campbell & Company. Leadoff speaker in Heidelberg, Germany in conjunction with the birth of Visteon at the Frankfurt Auto Show. Engineering Consultant to the Bose Corporation on development and marketing of its electromagnetic active suspension. ERIM Program Manager for the VDTV. The design and build of the Variable Dynamic Testbed Vehicle (VDTV). An onboard computer managed, steer-by-wire, brake-by-wire and throttle-by-wire, passenger automobile for human factors research into active safety. This was a Federal Government, Department of Transportation, National Highway Traffic Safety Administration (NHTSA), Office of Crash Avoidance (OCA) project, managed for the OCA by the Jet Propulsion Laboratory (JPL). Automotive Engineering Analyst to Teltech Resource Network Corp. Member of the Board of Directors, Porsche Engineering Services-Troy (MI), Porsche’s US engineering services company, a subsidiary of Porsche Engineering Services-Weissach, Germany. Engineering Consultant to Rosen Motors Ltd., developers of a hybrid gas turbine, battery-flywheel, hybrid electric powertrain. As Engineering Director, I was responsible for all aspects of engineering on the Corvette: design engineering and manufacturing engineering. The team of men and women powertrain, chassis, electrical, and body engineers and specialists I led and motivated became world class in their fields. They designed and validated Corvette’s components and the processes for their manufacture. They also were responsible for the application of engineering processes, such as failure mode analysis, design for manufacture and assembly, and CAD/CAM. Each part of the process led to high quality, easily manufactured, cost effective designs. The team I led also supported the marketing division in product conception, in sales, and in service. Empowered to make the many decisions that lead to a successful product, this capable and dedicated team consistently led the industry in the introduction of market-focused technical innovation. 1984 Engineered the all new current Corvette as an aluminum intensive sports car. 1989 Began in earnest, to plan the next (5th) generation Corvette–the C5. 1990 Introduced the first of driver-side air bags in GM. Established 3 FIA World Records for speed and endurance with the production ZR-1, including the 24-hour record @ 175.885 mph (4,221 miles). 1992 Re-engineered of the standard Corvette engine to produce 300 bhp. 1992 Introduced Acceleration Slip Regulation (traction control). Sloan Fellow–Alfred P. Sloan School of Management, Massachusetts Institute of Technology. Assistant Staff Engineer, Chassis: Led the team of chassis design engineers responsible for the Camaro and Nova chassis. Development Engineer Led the team of ride, handling, and NVH engineers responsible for Camaro and Nova development. Manager, Vehicle Dynamics Test Area (Black Lake) GM Proving Grounds. The first manager of this new facility, responsible for test and instrumentation development, the facility’s daily management and saf . Senior Project Engineer-Noise and Vibration Laboratory, GMPG Led various projects in vibration control on components, cars, trucks and track laying vehicles. This award was given in recognition for “work and achievements (that) exemplify in an outstanding manner innovation in the engineering development of automobiles, their components, systems and accessories”. Member of the SAE Race Car Engineering Conference Committee; 1998, 2000, 2002, 2004, 2006. Keynote speaker at numerous SAE meetings.